Are you one of the biggest fans of Beauty and the Beast? Then I am sure you will be going to buy this brush set. We got the inspiration of this makeup collectibles from one of the American romantic fantasy film “Beauty and the Beast. This movie inspired most of the viewers and all the girls want to be like Beauty while man wants to look like beast. 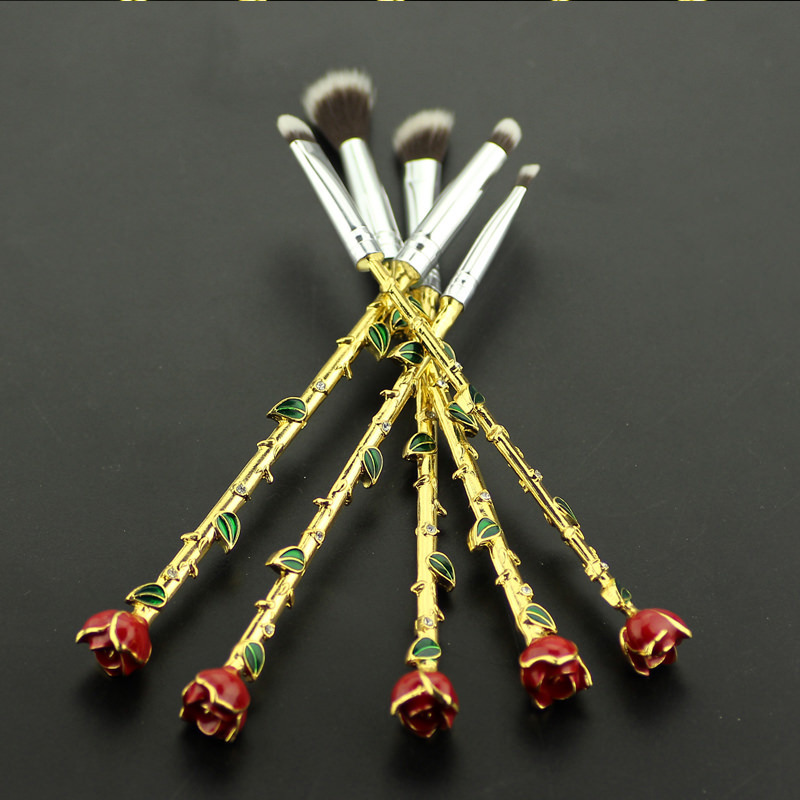 This set of 5 brush are one of the best gifts to every girl as this makeup set meet all your demand and gives you elegant and gorgeous look anytime everywhere you want. Don’t think much just grab this opportunity and be like a princess all the time. ✔ Essential makeup set of 5 brushes that meet your daily requirements and can give you flawless and stunning look. ✔ Soft, smooth and silky to touch- All the brushes are well shaped. ✔ Durable, easy to use and carry, comfortable and comes in pouch for safety and long-lasting. ✔ Perfect gift for every girl as they always want to look classic and stunning all the time. ✔ This brush set includes, blush, eye-shades, foundation and powder. ✔ You carry this makeup brush set everywhere with you as it is very easy to carry and handle. ✔ Excellent craftsmanship has been performed by our experts- To offer you best makeup collectibles. ✔ Made up of high quality metallic alloy- offering a sense of luxury. ✔ Every single brush made with extra care and packed individually.